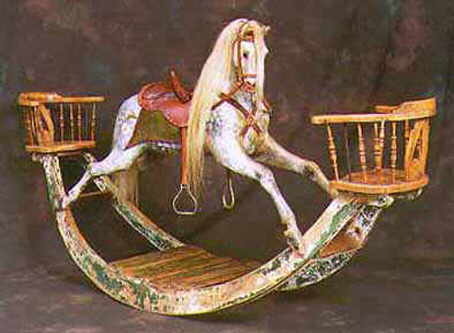 Aged replica of an F.H.Ayres rocking horse on bow with chairs. With aged leather tan tack, side-saddle pommel, 'old green' saddle blanket, light mane and tail on an aged bow. A stunning replica of a very rare rocking horse.